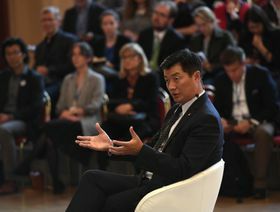 The Friends of Tibet group was officially launched on Tuesday, on the occasion of a visit to the Czech Parliament by Lobsang Sangay, head of the Tibetan government-in-exile. The establishment of the group was initiated by Pirate Party deputies Dana Balcarová and František Kopřiva along with their Civic Democrat colleague Marek Benda and independent senator Jitka Seitlová. The group plans to organise seminars and exhibitions related to Tibetan issues, receive visits by the Tibetan government-in-exile and react publicly to any news concerning Tibet. Mikuláš Peksa says the activities will focus mainly on human rights issues as well as environmental and cyber protection. “Tibet is covered by glaciers and the melting of glaciers will release huge amounts of carbon dioxide and methane, which will change the climate on a global scale. Lobsang Sangay, head of the Tibetan government-in-exile, who was one of the guest speakers at this year’s Forum 2000 conference, told Czech Radio that the newly established group in support of Tibet was evidence of growing public support for Tibet in the Czech Republic.